This post is sponsored by Lowe’s, however all opinions are the redhead’s. 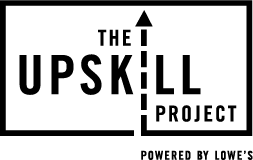 The UpSkill Project contest for the Detroit Metro area begins May 7th, 2018 and runs through May 21, 2018. 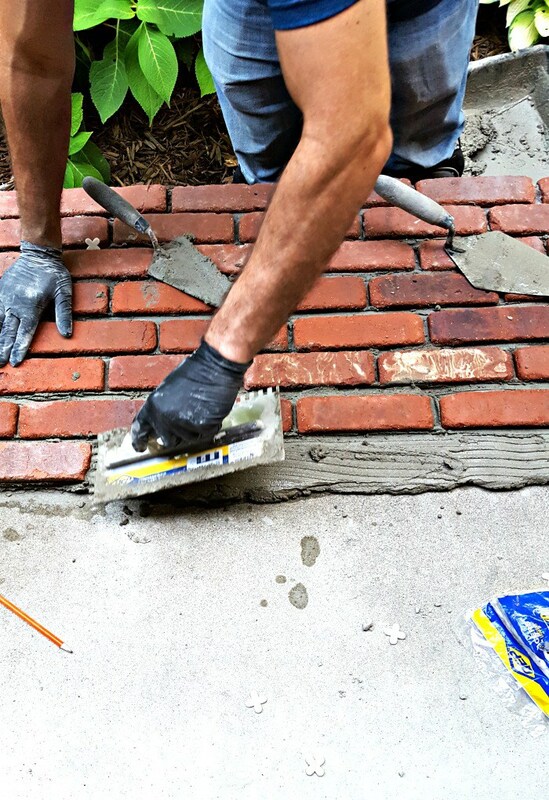 To enter, contestants need to submit a short video describing a certain project they are interested in completing in their home, the skills they would need to learn to help complete that project, and what that would mean to them as a homeowner (HOW TO ENTER LOWES UPSKILL PROJECT CONTEST). Please keep in mind the contest is traveling across the United States (more locations coming soon including in WI,PA,IL,IA,OH,KY,MO) and certain zip codes run at certain times, so please check to see if your zip code is included. Also keep in mind that if your zip code doesn’t happen to make the list, that doesn’t mean you can’t participate in an Upskill Community Workshop (see more information below). 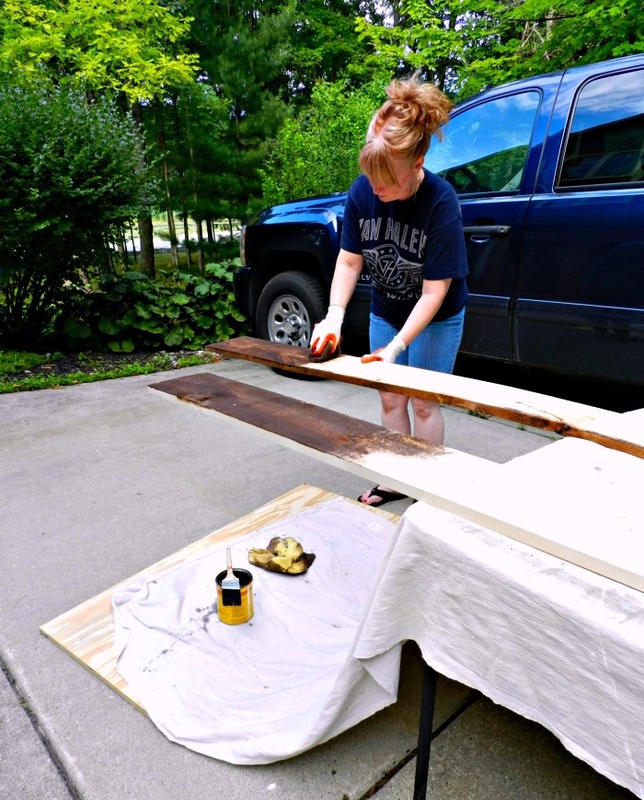 In addition, if you’ve visited Lowe’s before like me 😀 then you already know how helpful their team members are and you should know that they are always more than happy to help guide you through all of your home DIY projects. Lowe’s goal in the The UpSkill Project is to EMPOWER folks to get out there and learn how to transform their home by learning new skills and doing it themselves. You can’t get better than that in my personal opinion. Lowes will choose up to 5 winners in the Detroit area, and not only will the winners each receive a $2000.00 Lowes gift card to go towards the project in their home, but I am also excited to tell you that Rick (my husband) and I will be joining The UpSkill Project teachers at one of the winner’s homes to document Lowe’s experts working side-by-side with them and their family to get the job done. This is so cool, and I can’t wait for those 2 days! 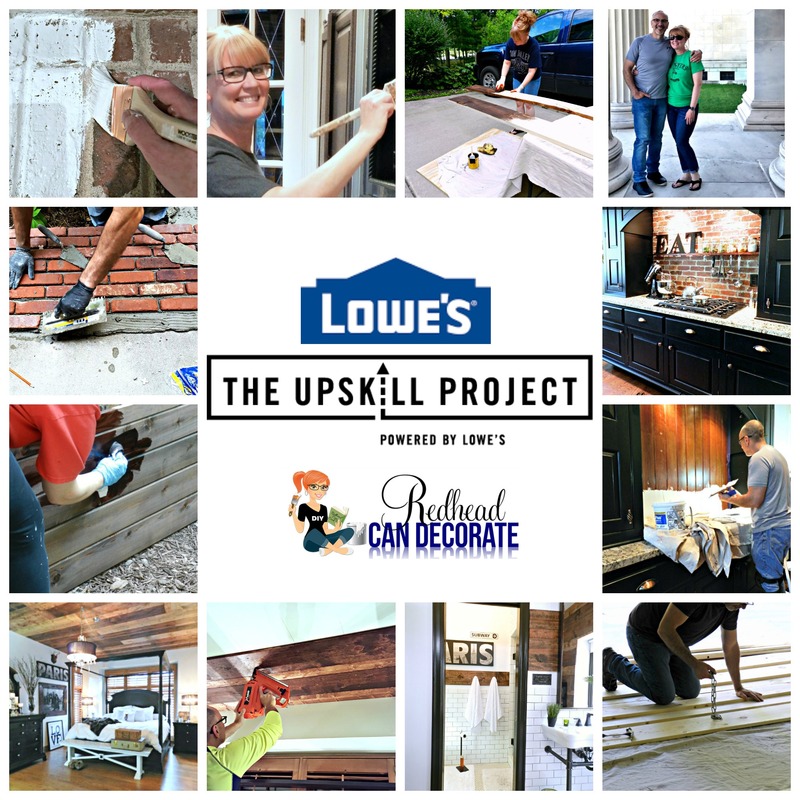 Please follow this link to enter and to get further details: ENTER LOWES UPSKILL PROJECT CONTEST. But wait, there’s more! The UpSkill Project will be holding a free community workshop on August 25, 2018. That’s when Rick & I will make another appearance at a local Lowe’s where we will learn more home improvement skills such as tiling, painting, plumbing, and general power tool usage together with you. How does that sound? I think it sounds like a lot of fun! 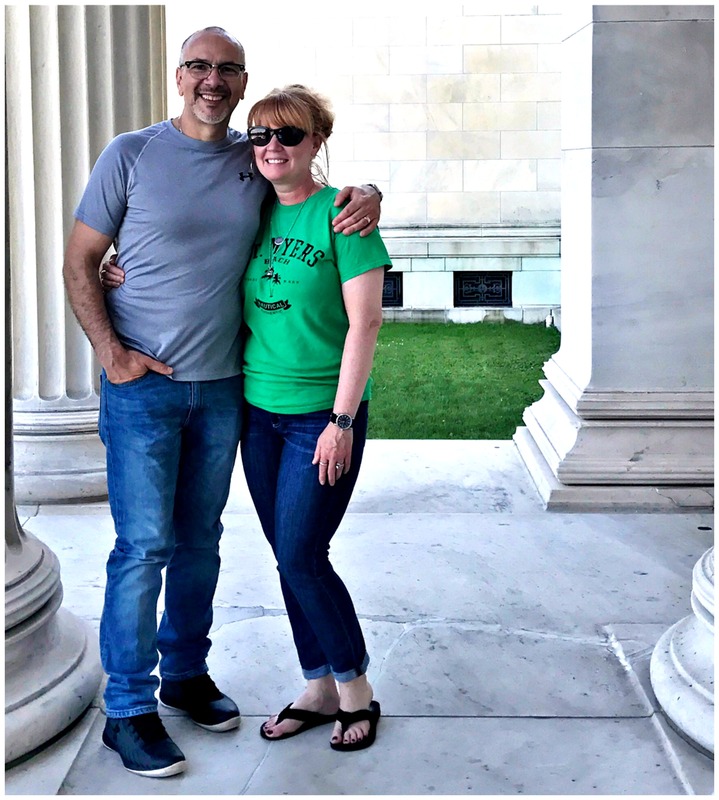 This is truly a very exciting campaign for Rick and I to be able to not only work side-by-side with one of the worlds leading home improvement retailers, but to be able to help one winner bring their home project to fruition, and learn the skills to go along with it. Truly amazing. Thanks, Lowes! NO PURCHASE NECESSARY. Homeowners and renters (with property owner’s permission) in eligible ZIPs only. Rules/Entry details found HERE. Ends 5/21/18. Too bad it’s not in Canada. Would love to meet you. Ohhh, darn!! So sorry, Bette. What general area of Canada do you live? I can relay this message to them for you! We love your blog love ,Mom and Dad. ps we are discussing where the talent came from.. So exciting. I wanted to see if my zip was included and I’m very surprised that 48095 is NOT on the list, but for 48094, 48096 are. We are all Washington, MI. Do you think that’s an error? I do not believe so, but I could ask for you, Sheryl! This is so exciting; I admire you and Rick. Would love to meet you both. I doubt if we will be eligible to enter but will keep checking those zip codes!!!!!! Thank you, Carol! We are so excited about this, and I’m so happy we get to do this together. Ok, since we live in Tn. it looks like it won’t work for us, but I actually joined your website, since I, too, am a redhead! 😉 Seriously would love to meet you and your husband (the Lowe’s card would be nice too,;-) but anyway, I am really looking forward to seeing who DOES actually get to win, and what kind of project they choose to do! Me too, Constance! It’s so generous of Lowe’s I think to do this. I wish we couod meet, too!! Me too, Constance! It’s so generous of Lowe’s I think to do this. I wish we could meet, too!! I heart Michigan but I don’t live there- which is too bad, because I was already envisioning FINALLY upgrading our gross sliding glass shower door, LOL. A HUGE congratulations to you, my well-deserving friend, for this partnership!! Hey, Sarah! Thank you for such sweet words! I’m forgetting what state you are in at the moment lol, but I mentioned all the states in the post. It’s not just Michigan! I hope you are in one!! Julie, I am so excited for you and Rick! What a wonderful way for you guys to be involved in helping others! Lowe’s really is my favorite home improvement store and my home away from home, too. I’m glad to learn about Upskill project. Thank you so much, Jane! We are very very excited. too!! I can’t wait to meet the winners!! Congrats Julie! The teacher and creator in you deserves this platform. Best of luck to you and Rick? Thank you, Beth! I just sent you an e-mail, but it might be an old address. You should enter!! I’m pretty sure your zip is included. ;). Tell Brian hello! Julie, What a great opportunity!!! I love that you and Rick will get to do this together too! I will be following along with you and learning all that I can! Enjoy it! I do know Rick and Julie… Rick was like my little brother growing up… best friends with my brother… heart of gold. I remember when he fell in love with Julie! Match made in Heaven. I wish this was in New York! I have the perfect project I’d like to tackle!!!! Thank you for such kind words, Rose!! That Rick is a keeper!! ? The first thing I did when I saw the states is look for NY. I’m hoping they expand the campaign. This is such a fun contest. 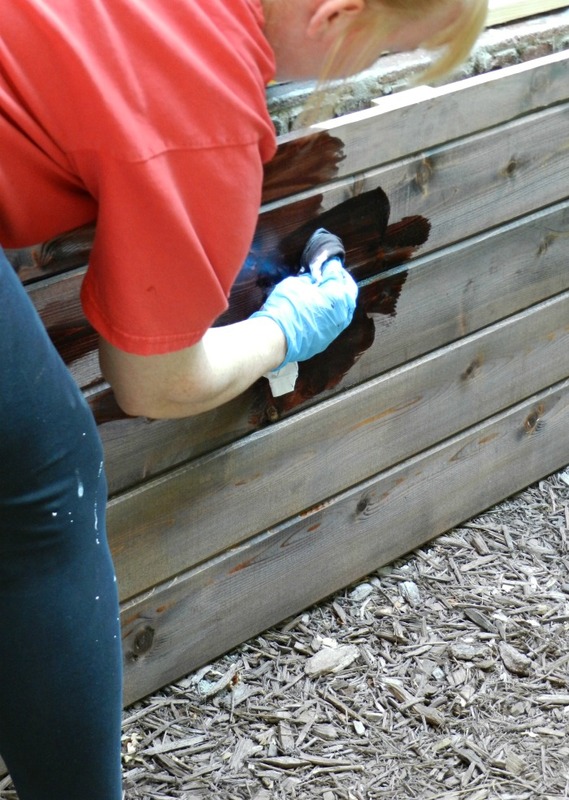 It would be awesome to have pros and you/hubby help with a project. Off to see if it’s happening in SoCal. OMG, your work is so fabulous, you must do this in the south subs of Illinois. Your followers in Detroit is so lucky, especially the winners of these outstanding gifts. Thank you, Ivory! The UpSkill Project is coming to Illinois! Did you see that??? sorry just saw this, but I did not see it, can you tell me when and where, it it hasn’t happen already. This is going to be a wonderful thing for someone! I am so jealous, I would love to have the opportunity to meet you and, as they say, pick your brain to find out how you come up with all your great ideas! I hope someday you can come to the Carolina’s. I would love for you to pick my brain, Pam. lol! Congrats!!! This sounds so amazing. I’m so happy for you! Thank you, my sweet friend, Jessica! $2000 would go a long way, I’m trying to figure out how to purchase a bathroom vanity. Unfortunately I live in Alberta Canada so I can’t be part of the contest. I’m living in the 70’s with to much brass, wood, and mirrors. I need a fairy godmother and a bulldozer. Thank you for your smiling face. Hi Cindy! You are cracking me up over here. And you’re right! 2k is a lot of cash. 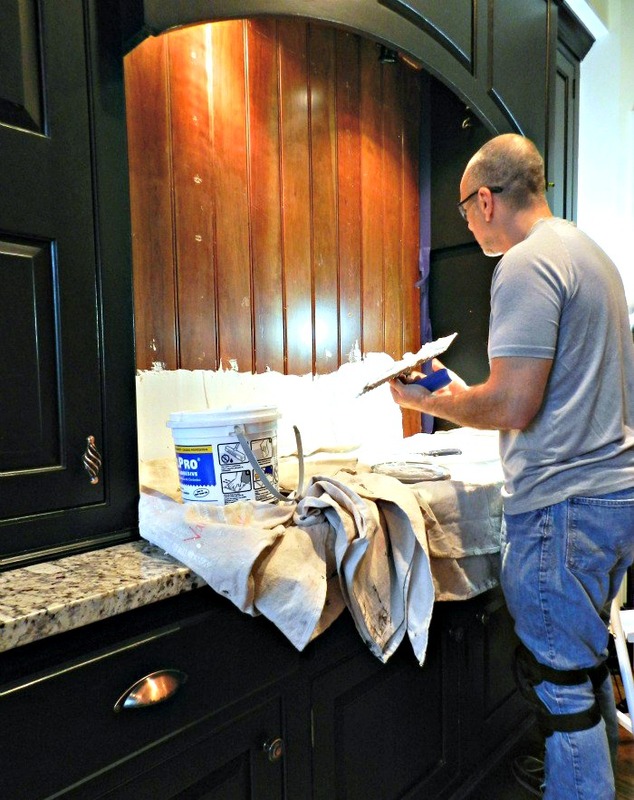 Have you considered painting the Old vanity? I just finished ours and it went pretty good.